"It doesn't quite feel like Spring in Seattle until the tulip bulbs I planted in the fall bloom in April. My block is a tulip in a pot which for me epitomizes the beginning of Spring. 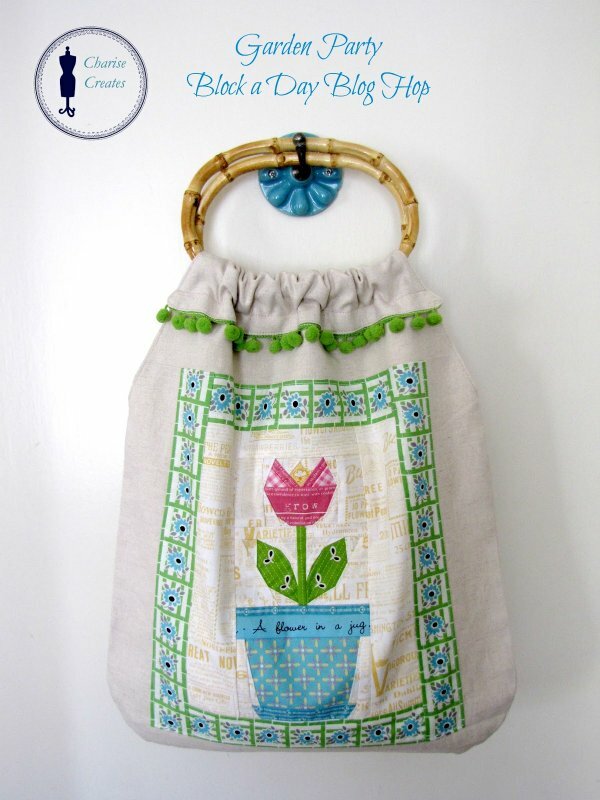 "With Spring in the air, one cannot have too many cute shopping totes!! 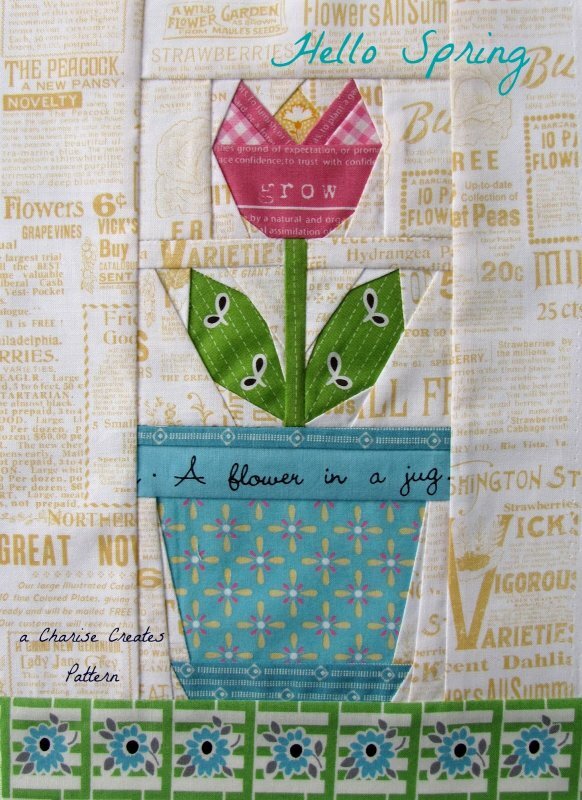 I decided to use this block to adorn a fun shopping tote. Warning - It is a big one : ) A whopping 15 3/4" x 18 3/4"!! "If you want a smaller bag, just trim off the bottom and you can keep all the other measurements the same. 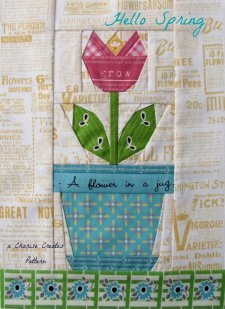 Make sure your quilt block fits the smaller size of the tote and you can see it below the flap."